PedalPusher is a new light-weight, extended-range Expression Pedal for controlling your MIDI parameters. It offers many exciting improvements to existing expression pedals. Extended Range: While the majority of expression pedals rotate through just 10 to 15 degrees, PedalPusher rotates through a full 30 degrees. This allows you to make small changes with much greater precision, while large changes can be made much more smoothly. Light yet Rugged: With the current crop of competing expression pedals, there have been only two choices. If you wanted light weight, you had to choose a plastic pedal. If you wanted ruggedness, you had to choose an extremely heavy pedal. 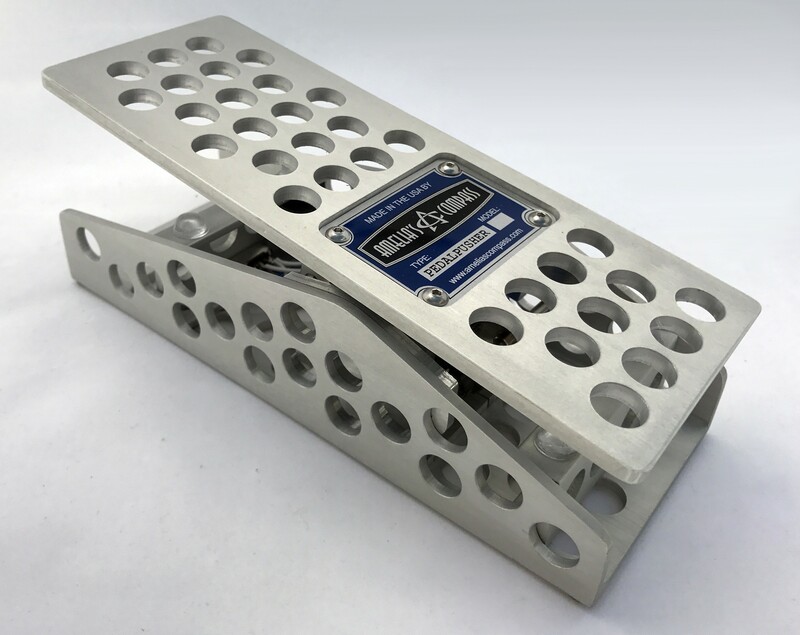 With PedalPusher, you finally have an extremely rugged pedal — made from 1/8” thick aluminum — that weighs just a little over one pound. So you can add multiple PedalPushers to your pedal board and still carry it without needing a fork lift! Linear Travel: Many expression pedals use a cheap mechanism that results in fast and slow spots along its travel. PedalPusher uses a two-stage metal gear drive to insure precise linearity across the entire range of travel, giving you the smoothest possible control over your parameter changes. No sudden onset at the heel end, and no dead zone at the toe end. Compatibility: PedalPusher features a tip/ring swap switch, allowing compatibility with both types of expression pedal inputs. Appearance: It looks like a wedge of brushed-aluminum swiss cheese. Cable Connectivity: Recessed jack for straight cables. “Escape hatch” for right-angle cables allowing them to run underneath a pedal board. Compatibility Switch: Accommodates normal expression pedal inputs or tip/ring-swapped inputs. 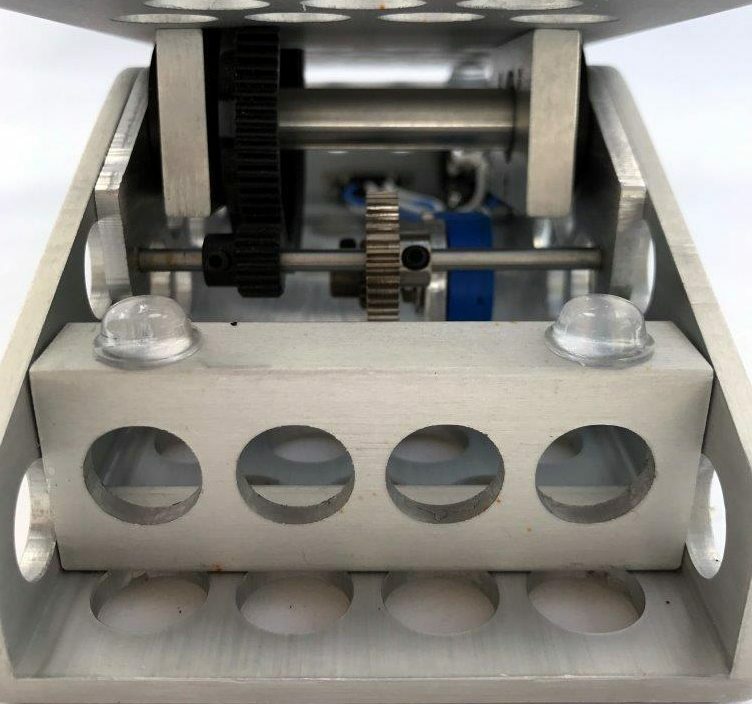 While the majority of expression pedals rotate through just 10 or 15 degrees, PedalPusher rotates through a full 30 degrees. This enhanced resolution allows you to make small changes with greater precision, while large changes can be made more smoothly.